ASP.NET is Microsoft’s big leap after Active Server Pages (ASP), ASP.NET provides flexible and unified web development model to build robust, scalable and the enterprise class web applications.ASP.NET supports Web Forms and Model – view – Controller (MVC). ASP.NET Web Forms provides look and feel of web applications through UI elements, similar to the windows forms i.e. methods, properties, events and controls within them. Web Forms creates higher level abstraction for developers. UI elements of Web Forms have ability to render in various requests for markup languages. Event Driven and Stateful Programming:- As the cliché ‘HTTP is a stateless protocol’. ASP.NET Web Forms facilitate stateful programming through ViewState, Postbacks, code behind and event driven programming. Web Forms empower developers to double click on control (i.e. button) and they can generate bunch of code for handling user’s clicking to the server side with user defined logic inside. Productivity and Rapid Application Development:- Increases productivity for small teams, as less complex application development and requires less code. Developers can achieve rapid application development without background complexities through various components like rich server controls, ViewState, code behind and event driven paradigm. While ASP.NET Web Forms offer many advantages, there are some disadvantagesas well. Model – View – Controller (MVC) is the architecture to combine input logic, business logic and UI logic with Separation of Concerns (SoC). Many known issues of Web Forms can be fixed with ASP.NET MVC and has more advantages, for example control size or disable ViewState. ASP.NET MVC is the next level web application framework based on MVC architecture with the main reasons like testability and Separation of Concerns (SoC) to achieve loosely coupled modules with in an application.ASP.NET MVC is the part of ASP.NET framework, so previous skills from ASP.NET and ASP.NET Web Forms can easily be applied to develop ASP.NET MVC based applications. Separation of Concerns (SoC) with Enhanced Performance:- ASP.NET MVC provides Separation of Concerns (SoC) that means your project remains less complex. No automatic state control management and don’t support ViewState. No ViewState support means more enhanced performance by reduced page size. Web stateless behaviour with full control over HTML:- No server controls means time to use HTML input controls and complete CSS and script freedom. We can manage each ‘ID’ separately and HTML rendering occurs by separate engine, so we don’t have to rely on ASPX physical server files. Reusable Components and Test driven Deployment:- Controllers don’t depend upon any specific view. This is the reason you can achieve components reusability with ASP.NET MVC, as you can use them for multiple views. Controller is the separate class in ASP.NET MVC, so you can create and perform unit tests simultaneously for methods in an application. Concurrent Development with Extensibility:- ASP.NET MVC based applications provide concurrent development. 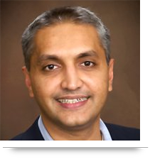 Application development relies on loosely coupled layers, so your team can work simultaneously on Model, Views and Controller. Multiple view engines like razor, aspx or custom engine are flexibly supported by ASP.NET MVC. While ASP.NET MVC offers many advantages, there are some negligible disadvantages as well. 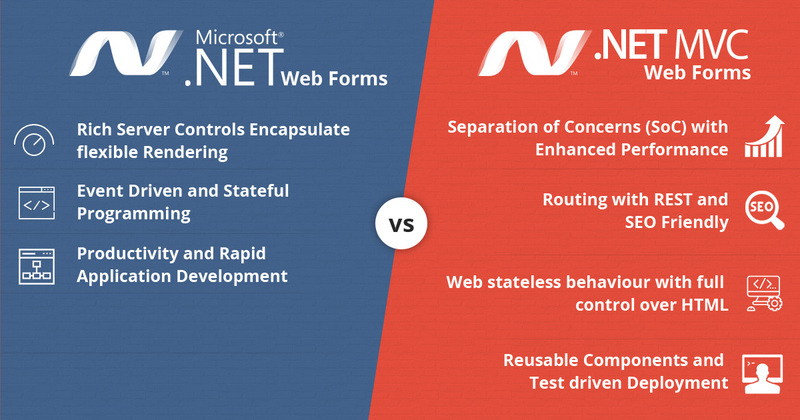 Call us at 484-892-5713 or Contact Us today to know more advantages of ASP.NET for Web forms Vs MVC. I am going to be sincere here this publish is excellent! I discovered a lot of new, amazing details Advantages of ASP.NET: Web Forms vs. MVC. If you could send me your publication weblink, I would be very happy! Keep writing like this, and you will be well-known instantly. I simply wanted to write down a quick word to say thanks to you for that wonderful information and hints you are showing on this site.